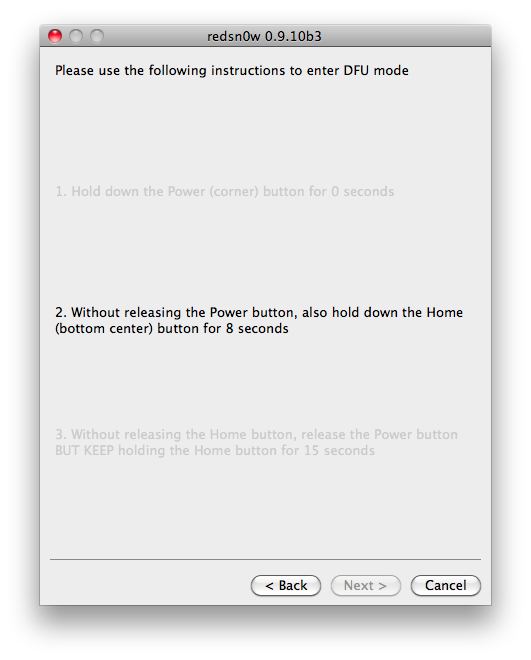 First you should make sure you are upgraded to firmware iOS 5.0.1. 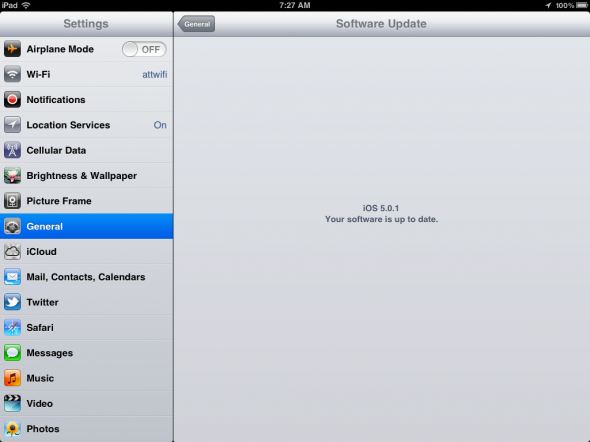 Just go to your Settings app, then General, then Software Update. Next, sync & back up your device with your computer or iCloud. Now you can download the program redsn0w to your computer. The download links can be found here: blog.iphone-dev.org Once downloaded you’ll need to unzip the file and move the app to your applications folder. 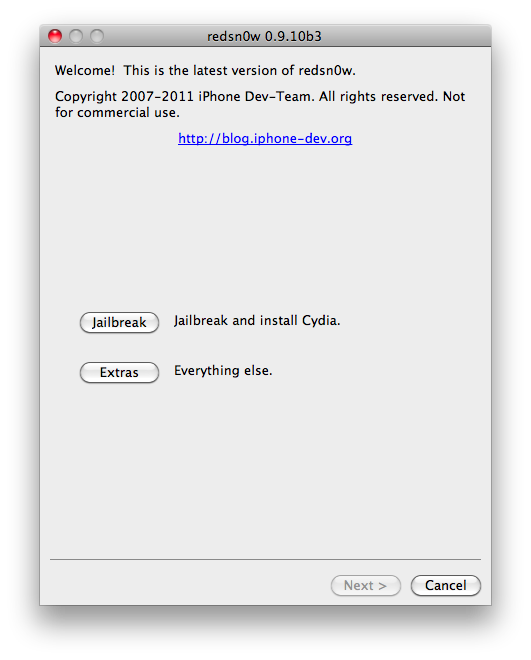 Run redsn0w to begin the jailbreak! 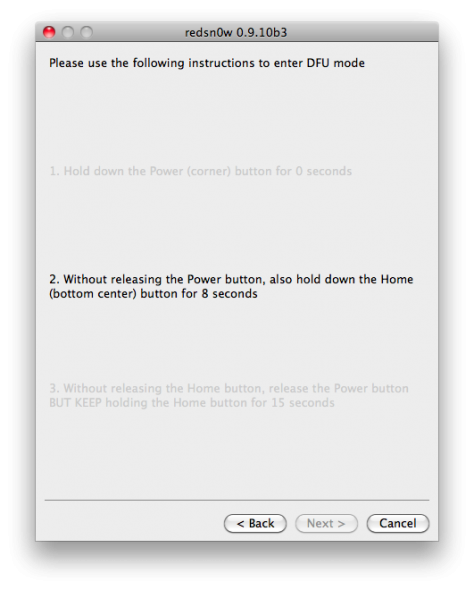 You’ll need to turn off your device and be ready to put it into DFU mode. Follow the instructions in the app on how to do that. On the next screen you will need to make sure “Install Cydia” is checked and click next. Don’t worry about “Enable Multitasking Gestures” because that is part of the new iOS firmware 5.0.1. Now just click next and wait for the software to do the rest. You will see a few crazy screen shown below but soon your device will reboot and you will have a new application called Cydia where you can install all kinda of hacks and mods no available in the Apple App Store. 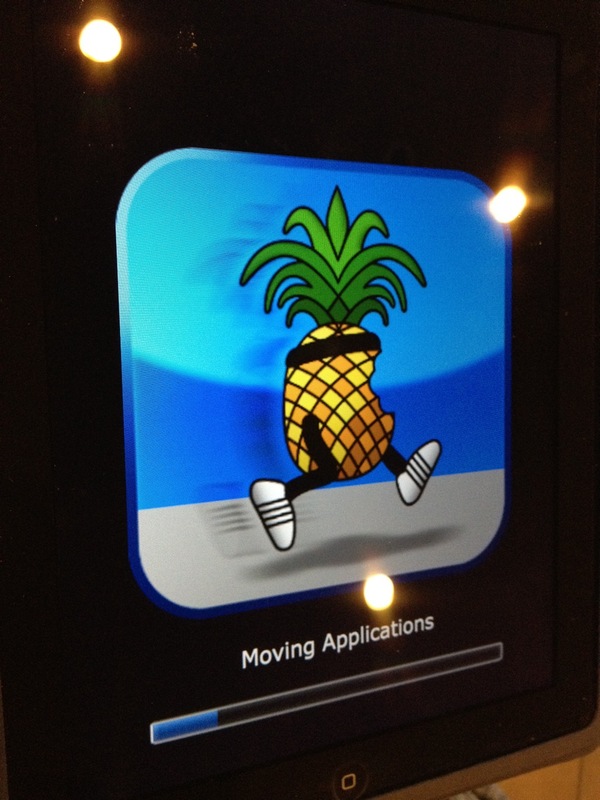 Note: A few parts of the process may seem like you device freezes up but things like “Moving Applications” and other steps just take a while. Be patient! You should probably warn people about upgrading baseband if they have an iPhone model and would like carrier unlock. 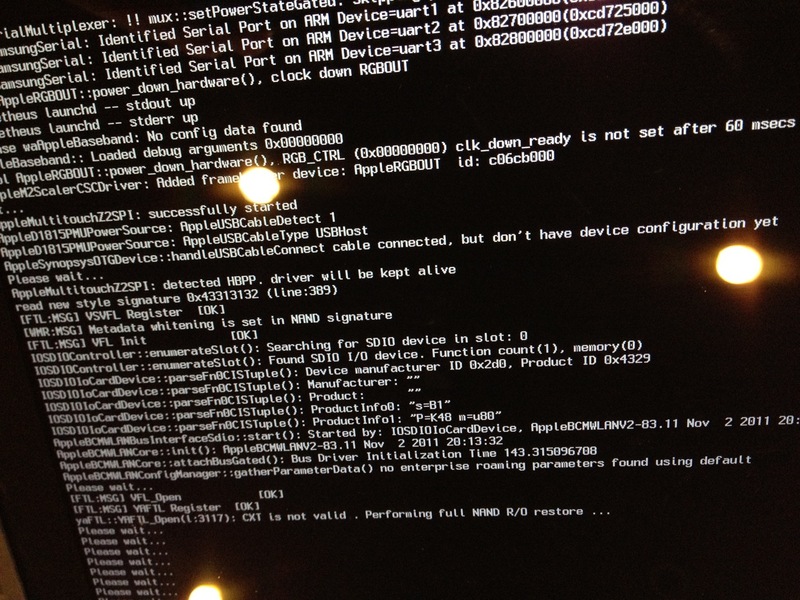 You can do it with RedSn0w, but the steps aren’t obvious. We have no unlocked devices. Would you care to share quick what steps to take? 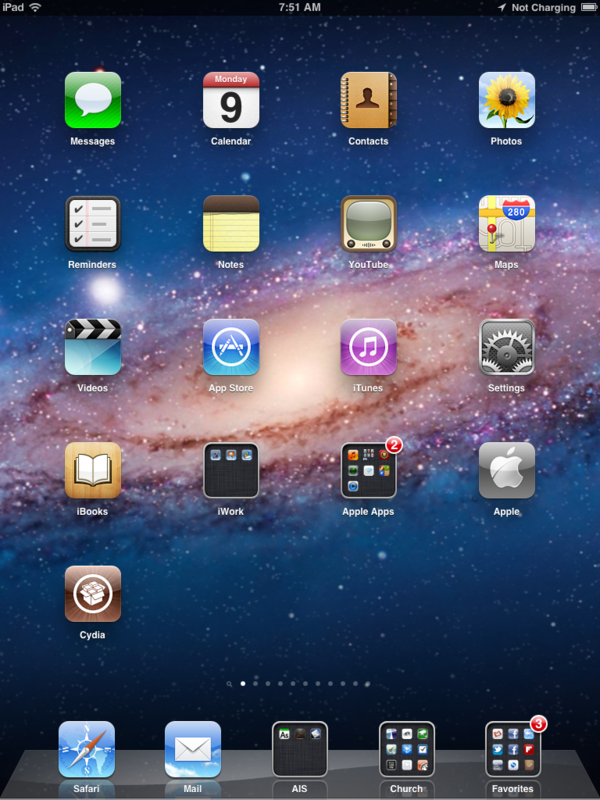 Can you do this with iPhone 4s on 5.01 yet? Can you do with with iPhone 4s on 5.01 yet? heyy guys i wanna links for to download jilbreak to ipod 5.1.1 CAN YOU HELP ME GUYS :))) thanxx ! !